Crude oil futures edged lower on Wednesday, as negotiations to raise the U.S. debt ceiling remained deadlocked and after industry data showed that U.S. crude supplies rose by the most in the three months last week. 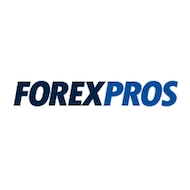 On the New York Mercantile Exchange, light, sweet crude futures for delivery in September traded at USD99.01 a barrel during European morning trade, shedding 0.45%. It earlier fell as much as 0.52% to trade at a daily low of USD98.93 a barrel. With seven days to go before the August 2 deadline, U.S. Republican leaders delayed a key vote in the House of Representatives on a plan to increase the USD14.3 trillion debt limit until Thursday at the earliest, adding to investors’ nervousness over a possible sovereign debt default. Ratings agencies Moody’s, Standard & Poor’s and Fitch’s have said they will cut the U.S.’s top-level credit rating in the event that a failure to raise the debt ceiling results in a default. Global financial service provider Barclays said in a report earlier that U.S. debt woes and concerns over a possible downgrade were “likely to keep the downward pressure on prices intact” in the short-term. Meanwhile, data released by the American Petroleum Institute on Tuesday showed that U.S. crude supplies rose by 3.96 million barrels last week, the biggest increase in three months, underlining concerns over a slowdown in demand from the world’s largest oil consumer. Later in the day, the U.S. Energy Department was to release its closely-watched crude oil inventories report for the week ended July 22. 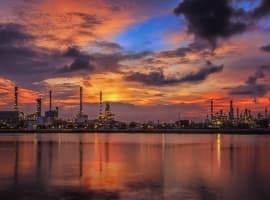 The data was expected to show that U.S. crude oil stockpiles declined by 1.5 million barrels, while gasoline supplies were forecast to rise by 0.4 million barrels, the second consecutive weekly gain. 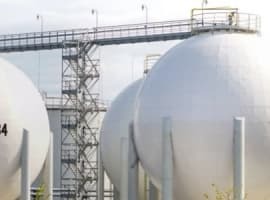 Energy traders have been closely eyeing gasoline stockpiles in recent weeks to gauge the strength of demand as the U.S. driving season was in its peak gasoline demand period. Elsewhere, on the ICE Futures Exchange, Brent oil futures for September delivery dipped 0.35% to trade at USD117.96 a barrel, up USD18.95 on its U.S. counterpart.